This is the 4th set of questions. 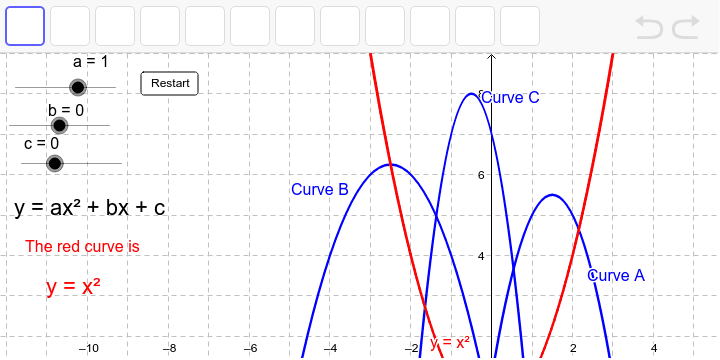 Now a, b & c can by changed by using the slider Q5 - Change a, b & c to move the red curve. Find the 3 equations of blue curve A, curve B and curve C. Write your answers down on your homework sheet.